This book really evoked a lot of emotion from me as I read it and, above all else, that alone usually justifies a five star rating, in my opinion. This is a coming of age novel which follows the main character, Henry, from the time he was a young child- actually it begins even before he was conceived, giving the reader some insight into his father's childhood, adolescence, and college years where he meets and marries Henry's mother- growing up in the mountains of North Carolina, up until early adulthood. Both of his parents, but particularly his father, are very in tune with, and connected to, the arts - literature, writing, classical music- and this became a major influence on Henry as well, eventually driving him to venture away from home and family to pursue his passion. This book was about family relationships, loss and how grief can tear a family apart right from the very heart of every member, but also about ambition, disappointment and how with age one grows more aware of ones limitations and mortality and, for some, that realization is overwhelming. It's hard for me to summarize what this book was really about or why I loved it so much. It was one of those books that I really looked forward to reading and couldn't wait to pick it up and continue...if time had permitted, I'm certain I would have finished it all in one setting. I found myself continuously reminiscing my own childhood and relationships and losses and disappointments while reading this novel and although the specific circumstances in the book were completely different from those of my own life, the emotions were the same and therefore it was very relatable. From what I'd heard of this book before I read it (which wasn't much since it won't be released until April) I honestly expected it might be a little boring or slow but I assure you it wasn't. But even now, to describe it to somebody, it might come across that way because it wasn't a fast-paced book with a huge climax or a great deal of tension but there was just enough and I grew so connected to, and invested in, the characters and it was so well written- a book that truly made me think and feel and reflect - that I didn't think twice before giving The Barrowfields a five star rating although I fear my review just won't do it the justice it deserves. I hope that other readers don't look to deeply into reviews and descriptions before reading it themselves because I think it's so hard to articulate just how personal and powerful and emotional and thought provoking this read was, it has to be experienced. This book was simply, and subtlety, profound and the language and writing style was beautiful and often poetic, albeit challenging (I humbly admit I kept my dictionary handy because there were several words throughout that I had never heard before) and I appreciated every single page. As far as I know, this is Phillip Lewis's debut novel but he's certainly an artistic talent who is on to something and I hope his next book is in the works as I look forward to reading more by this author. 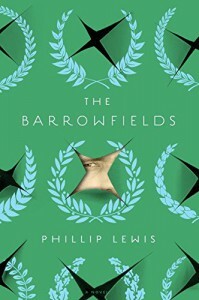 Thank you, Penguin Random House, for the ARC of The Barrowfields by Phillip Lewis. 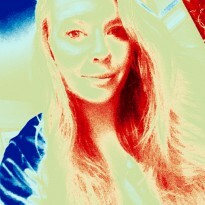 (It was much appreciated and thoroughly enjoyed).